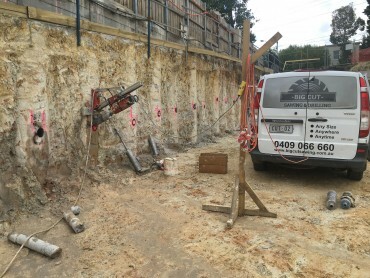 When a project requires concrete drilling, Melbourne work sites should always call the specialists. 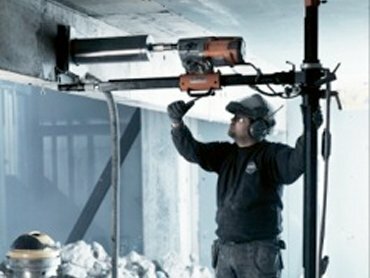 Concrete drilling requires very specific tools and knowledge, that most general contractors may not have. 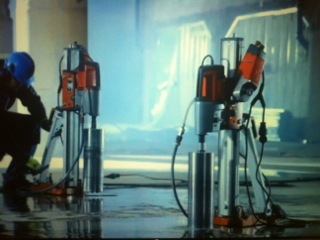 That is why at Big Cut Sawing & Drilling the only things we do are concrete sawing and concrete drilling. We have 25 years of experience in our field and because we only work with concrete sawing and drilling, we have all of the most advanced equipment. Core Drilling Done Exactly Right. Melbourne based, Big Cut Sawing & Drilling offers many different core drilling services for our customers. 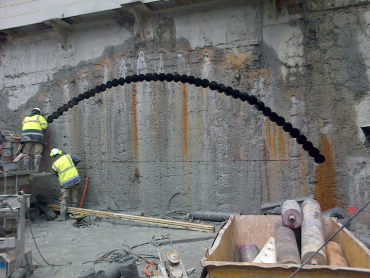 Our core drilling creates precise, accurate holes in exactly the size and location you need. 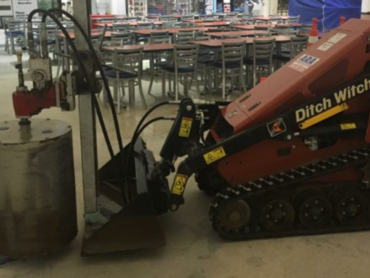 We have both electric and hydraulic powered drills for concrete. We have the most advanced technology drills available, including diamond core drills. When you use concrete drilling in your project, we know that it needs to be done to fit precise location, diameter and angle needs. Your core drilling is done for pipes, cords and more, so when we drill, we meet your exact specifications every time. We are able to complete your core drilling however you need it to be positioned. Whether you need it drilled vertically, horizontally, angled or inverted, we are able to drill your core hole precisely how and where you need it to be. 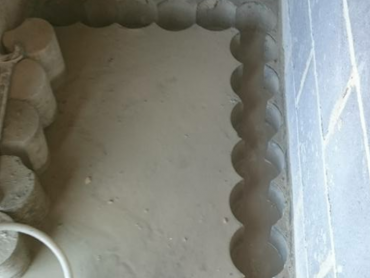 We can create core holes as needed for plumbers or electricians if they need access to the slab, as well as drilling for any other service provider. Same Day Service Available Throughout Melbourne. For work sites throughout all of Melbourne and Victoria, we can provide any core drilling service you may need. We also provide some concrete drilling services for other areas throughout Australia. We offer same day service for customers in Melbourne. We adhere to strict schedules, because we know that timing is crucial on work sites and any time you are dealing with concrete. Never worry about when our operators will show up, because they will be on time, every time and provide your service when you need it done. We respect that you value your time and money, so we make an effort to always provide you with the most accurate scheduling and affordable prices possible. 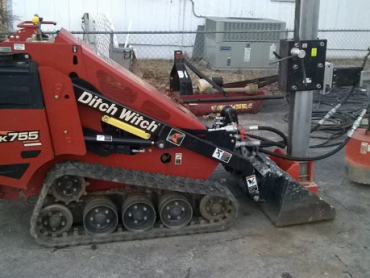 When our operators come out to your site, they will have all of the equipment they need to complete your project. We know that in today’s construction environment, efficiency is becoming more and more important. That is why we are committed to working with your schedule, and providing our services in the most efficient and effective manner possible. That is why we always use the most advanced tools possible. All of our concrete drilling projects are done safely and efficiently. For core drilling, Melbourne work sites should consider that Big Cut Sawing & Drilling can drill your hole in any size from 16mm to 1 metre in diameter. 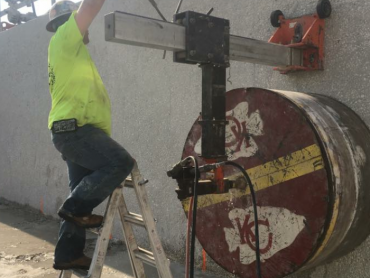 Whether you are drilling in your slab to create spaces for plumbing, manhole access, or electricians, we can provide you with the core drilling that your specialists need. No matter what you are drilling for, we can provide you with the service you need every time. We will always provide you with safe, reliable service, with quick, effective speed and great prices. 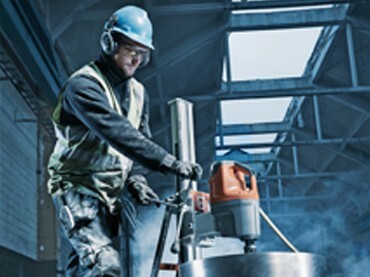 Big Cut Sawing & Drilling provides a full range of core drilling services. Core drilling units are available in electric and hydraulic. We can core drill any size diameter to unlimited depths to suit the requirements of your project. Circular core holes are drilled precisely whether it is vertically, horizontally, angled or inverted. Core holes are required for a variety of service providers including but not limited to, electricians and plumbers. Big Cut Sawing & Drilling provides Core Drilling services throughout Melbourne and Victoria. We also service Australia Wide for selected projects. Our core drilling service remains one of the top-tier options on the market with a quality team that is ready to serve its clients. Big Cut Sawing has remained a number one option in all of Melbourne for years and is a rigorous option for those wanting perfection. With attention to detail and a passion for quality that is ideal, this is one of the best options in Melbourne for those who want the best. 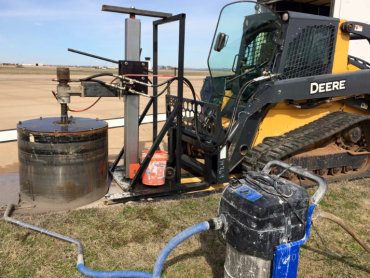 With Certified Drillers, Big Cut Sawing is one of the best options in town for those who want a qualified team of drillers to come in and help out. 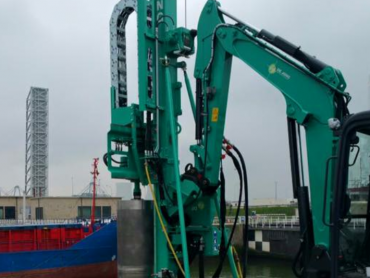 A good project is only going to be possible with the help of certified drillers who are going to have the qualities needed for maximising time. All results offered by this team are going to be top of the line based on modern standards of drilling. This is what makes the team good at what it does, and it will continue to offer real results to those who sign up for an ongoing project. Don’t want to go with a team of drillers that is unreliable? No one does, and that is where Big Cut Sawing becomes a solution to all of your problems. Drilling has to be carried out by a team of professionals because of its requirements. Those who are not up to par are not going to do a good job of protecting assets and getting to the bottom of the problem at hand. With a reliable team, it is easier to manage the project and that is what you are going to find here. The environment has to be kept in mind when it comes to core drilling. Going with the wrong solution or team is going to have an impact on the environment, and that is not a good thing at all. It is important to go with those who are going to take the environment’s safety seriously and will not worsen things right off the bat. Take the time to look at the qualifications of BIg Cut Sawing’s drillers and know it is the ideal fit. All solutions are going to be contemporary in quality and will meet environmental standards. Never go with a team that is unreliable or unsafe with its strategies. Going with a team such as this one is going to guarantee the safety of one’s land and that is a must. There is no reason to go with a solution that is going to be inefficient and is going to take up a lot of time. It is better to go with one that is going to be as safe as possible. 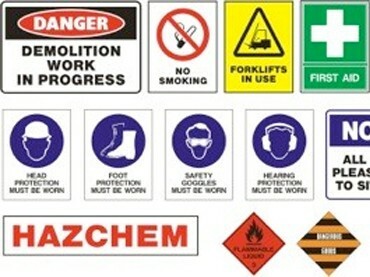 This is a team that is safe and uses modern standards to carry out its projects. This attention to detail is what makes it incredible. Modifications are the name of the game when it comes to core drilling and choosing the wrong team is not on. Instead, the goal should be to go with those who are going to modify the tiny details and will be willing to work with the client to get things spot on. This is the bare minimum and is something all clients in Melbourne should be thinking about as soon as the project is underway. Don’t go with those who are only going to emphasise streamlined solutions that are ineffective and not as personalised as one would want them to be. Choose a consistent team that is going to put in the hard work day in and day out for its clients. This team is great because it is passionate about what it does and is going to offer an organised drilling solution as soon as things are started. There is no reason to choose a drilling service that is going to ignore consistency and will be doing things without rhyme or reason. It is better to go with this team knowing the results will be incredible and as consistent as you want them to be. This is a must for all clients in Melbourne. What about the timeline for your core drilling needs? Will it take too long? No, all projects are going to come with a set deadline, and that is not going to be ignored along the way. In fact, the team is going to make sure the drilling is done well and is completed in time to meet a client’s needs. This is a must and a big part of what makes this the best drilling service in Melbourne. Clients will know they are not going to have to wait around for the drilling to be completed. This isn’t a new team and has been helping clients in Melbourne for years. Core drilling has to be done with a passion for the process or the results are not going to be ideal. This service is going to take the time to put together a passionate resolution that is in line with a client’s drilling needs. It’s time to take a quality team onboard that is going to be passionate. This is the charm of a professional unit that is going to use quality equipment. Core drilling will be carried out in an organised and high-quality manner based on modern trends. This is one of the best options in all of Melbourne and is a call away from putting together a proper drilling solution. Clients hoping to streamline their processes and wanting things to be done the right way can call in and begin putting together a robust project as soon as possible. This service is committed to doing a good job and is going to help put together a team that is world-class and is going to offer robust access to quality equipment as soon as things begin. 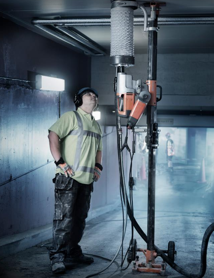 Big Cut Sawing & Drilling, Australia’s premier choice for concrete core drilling, has been serving the Melbourne metropolitan area for over 25 years. In 2001, the company expanded its services throughout Victoria; in 2005, the company began taking on special projects across Australia. Big Cut Sawing & Drilling has the personnel and equipment to handle the largest and most difficult industrial jobs, but the company has stayed true to its community roots and continues to prioritize residential and civil projects. From commercial bridge removal to professional electrical work, Big Cut Sawing & Drilling is committed to professionalism and customer service. Big Cut Sawing & Drilling has a progressive attitude in which it invests in advanced machinery as soon as it is available. This enables them to offer world-class services without sacrificing the personalised care on which the company built its sterling reputation. Big Cut Sawing & Drilling believes there is no problem that cannot be solved. Any job. Any time. Anywhere. This is the mentality an industry leader needs, and this is what Big Cut Sawing & Drilling brings to every project. And their technologically advanced machinery makes any idea possible. Electric and hydraulic core drilling machinery can drill to unlimited depths and the widest diameters in the industry. With massive 1 metre drilling capabilities, it’s hard to imagine a realistic industrial situation where this would not suffice. But with precision core drilling available as small as 16 millimetres, there is also no project too small. Because of Big Cut Sawing & Drilling’s dedication to its clients, they have been offering fast, safe and reliable service at a competitive price since their founding over 25 years ago. When you work with Big Cut Sawing & Drilling, you collaborate with experienced specialists who cater to your needs and personalise every experience and project idea. These professionals possess a comprehensive industry skill set, knowledge base and range of experience. If you need concrete cut, scanned or demolished before concrete core drilling in Melbourne can commence, Big Cut sawing & Drilling is prepared. From the precision of handsaws to the enormous, unlimited cutting power of diamond wire saws, Big Cut Sawing & Drilling can work its way through projects of every degree of precision and scale. Commercial concrete core drilling in Melbourne relies on Big Cut Sawing & Drilling. In an age where experience is the almighty equalizer, Big Cut Sawing & Drilling’s 25 years of industry experience is a proven testament to its commitment best practices and customer satisfaction. 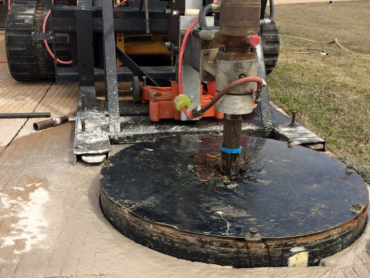 From fully insured, confined-space certified operators to innovative solutions, this is the full-service option for industrial concrete core drilling in Melbourne. There is a misconception that the best service and the best tools are the most expensive. For Big Cut Sawing & Drilling, nothing could be further from the truth. Affordable solutions are the result of efficient ideas and methods, and this is where the experience of Big Cut pays significant dividends. 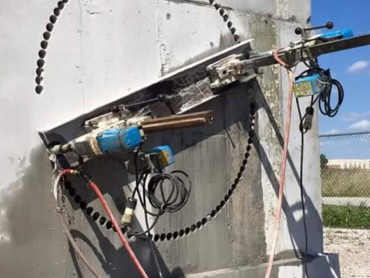 For the most reliable, intelligent and professional service in concrete core drilling, Big Cut Sawing & Drilling is Melbourne’s affordable, no-nonsense solution.